We soon fell into conversation about old army times... Our conversation grew so pleasant that I almost forgot the object of our meeting. We came to a house – just an ordinary house, like plenty of others, with a flight of steps, some pillars and a verandah with a balcony above. Marse Robert dismounted in the yard and walked up the steps, while Tucker [Sergeant] took me and Champ [Sergeant Tucker’s horse] off round the side. He found a place in the shade and settled hisself there, ’long with the two of us and Colonel Marshall’s [Charles Marshall, Lee’s aide-de-camp] horse Mercury. Everything was quite quiet and peaceful – ’twas a fine afternoon – and soon I’d near ‘bouts forgot what we was there for. A good horse never has no problem loafing, you know. After some considerable time we heard a whole bunch of horsemen coming. They was all Blue man – you could smell that as they came close. The officers must’a dismounted in front of the house, ’cause the soldiers – some of ’em – led the horses round to where we was at. I noticed that Tucker didn’t talk to the soldiers, so I took my lead from him, and didn’t set out to talk to the horses neither. There was one black horse, I remember, pulled up ’longside me: he told me his name was Cincinnati. He acted quite easy and sociable – you couldn’t dislike him. I acted the same, which is what I felt Marse Robert would want. But pretty soon his soldier led him off a ways, so we was left by ourselves again. We was free to graze, and I remember the dratted flies was a nuisance; ’twas coming on to summer, you see. The first part is the original description of what went on at Appomatox. Because of poor communications little was written by anybody else about that fateful day when Lee surrendered. I have this theory that the first paragraph of any novel is a better standard that its cover if you want to judge it. Today I opened with haste an Amazon.ca package that contained Jerome Charyn’s I Am Abraham. I immediately went to the first paragraph and I was not to be disappointed! They could natter till their noses landed on the moon, and I still wouldn’t sign any documents that morning. 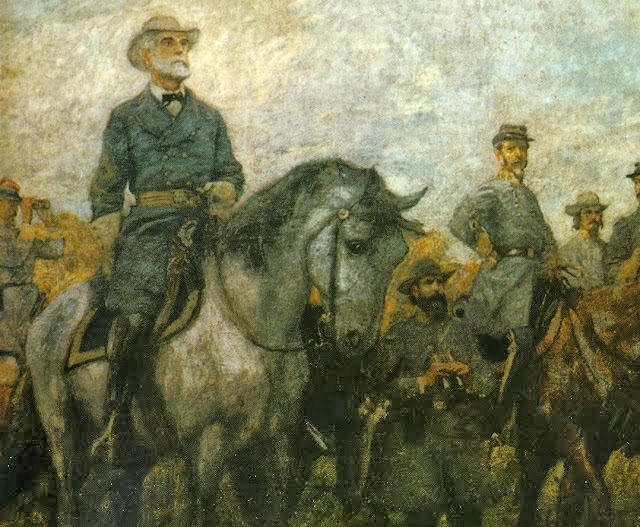 I wanted to hear what had happened to Lee’s sword at Appomattox. There’d been wild rumors about the fate of that sword. One tell was that Grant had given it to a young captain on his staff who proceeded t gamble it away at a local bawdyhouse. I was mortally embarrassed, wondering if that young captain was Bob. So I was tickled to learn that Bob was on the premises, that he’d come to see his Pa. If you had read your Grant Memoirs you would know that Captain Robert Lincoln served as an aide in Grant’s staff. 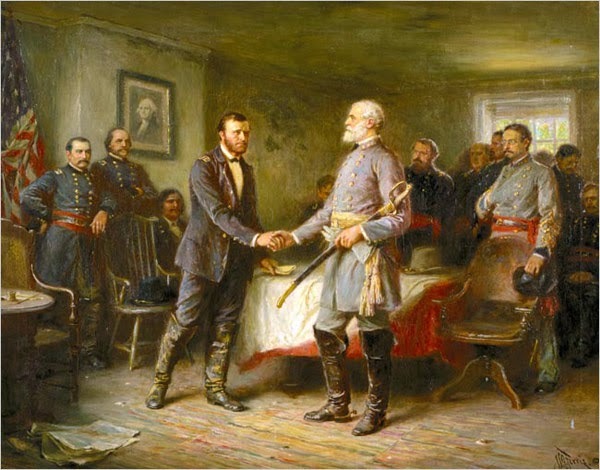 If you want to know what happened to Lee's sword read I Am Abraham. It is revealed! I know I will thoroughly enjoy Charyn’s biography of Lincoln written to read as an autobiography in the next few days. He did the same, brilliantly in 2010 with The Secret Life of Emily Dickinson. Because of that novel I have read everything Dickinson has written that is available. 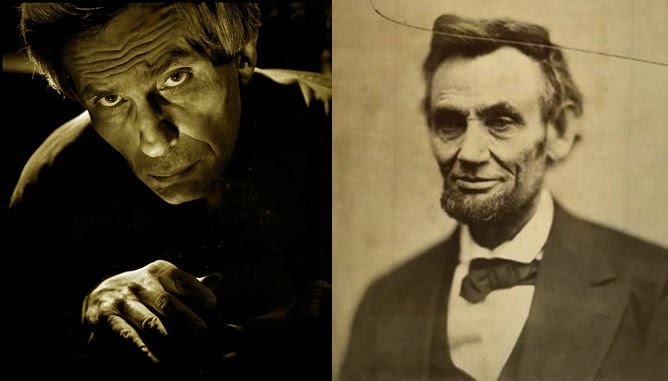 With Lincoln, Charyn puts me into a different space, a space I want to explore with anticipation. I first saw a book with photographs by Mathew Brady , O’Sullivan and Alexander Gardner in an American Heritage book or magazine inside the Lincoln Library in 1950 (or thereabouts). The library was an arm (a visible arm of the more secretive CIA) of the United States Information Service and it was located on the fashionable Calle Florida. Argentines liked to throw bombs and rocks at it often not because there were no libraries where you might take a book home but because the thought the Yankees were as bad as Lee’s army thought. I think I became a photographer because of those photographs of long-dead (but alive in the photographs) soldiers of that American Civil War. At the same time I developed an interest in anything related to Ulysses S. Grant. I have read many a book about him including his so personal, personal memoirs. In them he has little to say about Lincoln. I am intrigued and delighted that soon I will find out exactly (if only in a novel) transpired between President and General. It’s Charyn who does give the red hair importance. My favourite moment of the recent film Lincoln was to note Jared Harris’s impersonation of Grant. I was very happy that the folks that made the film did not bother to hide Harris’s red hair. And of course, unless I read differently in the next days I am sure Grant did not have red hair!